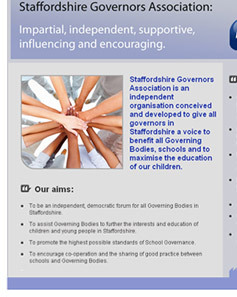 Staffordshire Governors Association is an independent organisation conceived and developed in order to provide support and guidance to all Staffordshire based school governors. 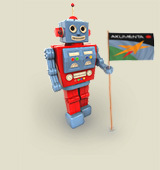 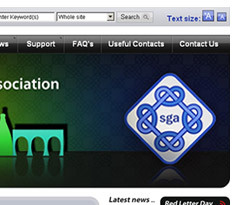 To the right is a scaled down screen-shot of the site's front page. 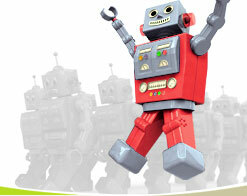 Follow the link at the bottom of this page to visit the site directly. 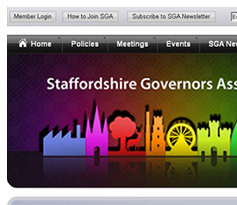 Staffordshire Governors Association is a flagship project for Akumenta and something we are particularly proud to be involved with. 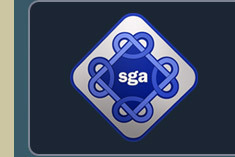 To date we have supplied a comprehensive range of custom services to SGA including branding / logo design and the development of a feature packed custom crafted web presence. 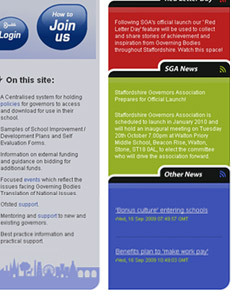 We're extremely proud to report that the site has already received widespread commendations and praise (including high praises from Staffordshire LA).